For many racing is a way of life and much like a drug. Once it’s into your blood it can be extremely difficult to move away from. 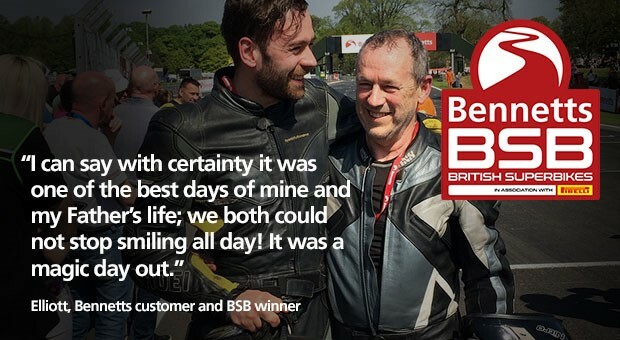 Yet when life deals you a bad hand it puts in to perspective what is important in life, and two years ago rising Bennetts British Superbike star Jake Dixon, and his partner Sarah, were delivered the worst news a family could receive. Sarah had been diagnosed with breast cancer in her 20’s. But how does a 21-year-old up and coming racing star deal with one of the biggest setbacks in his young life. Well, he had to mature quickly, turning from a boy into a man. “I think in racing you have to grow up quite fast,” said Dixon. “If you don’t then you aren’t going to succeed at this level. “What happened with Sarah wasn’t an ideal situation but as a team and a couple we’ve just embraced it, as much as you can anyway, and just got on with it. “She’s been an absolute diamond in the way that she’s approached it, and I’ve got to be there, be her rock and be the person that she falls back on to when she’s feeling not so great. Figures produced by Cancer Research (2015) show that breast cancer has affected over 55 thousand people, making everyday life increasingly difficult. But, just like on track both Jake and Sarah fought the battle in the only way they knew how, and Dixon admitted that racing gave them both an escape from reality. “What got me really upset was when Sarah fell ill, I hope nobody ever has to go through that because it is s**t.
“What got us through it was racing, me and Sarah would always look forward to the weekend’s, it would be her little time to get away and enjoy not having to think about what she was going through. “Racing was a good get away, but when we got Larry (their dog), that helped, because he knows no different, a dog will always love you no matter what. “If you were really horrible to a dog, which I hate when I see it on social media, the dog will never hate you because he only has love for the person that looks after him. However, Dixon admitted that once the news hit about the love of his life it made him take a different outlook on life. Now an adopted Midlander, the 22-year-old is very different for a man his age. There aren’t many 22-year-old’s with a mortgage, settled down in a strong relationship with a dog. But Dixon quickly revealed that he didn’t really know what he wanted before he met Sarah. “I was young and naïve. I was a little bit of a player really,” admitted the Ashby resident. “Sarah would say that as well, I was a little bit of a nightmare, messaging all sorts of women,” laughed the RAF Regular and Reserves Kawasaki rider. “But now I have Sarah she’s put me on the straight and narrow, and I couldn’t think of anyone else that is more special in my life, she’s a diamond. Since the pair received the news that the all clear has been given, Dixon can now focus on his future in the MotoGP paddock. But the Dover born man confessed that the support from the fans keeps his feet on the ground, although it did surprise him at first. “It has surprised me and I’m so humble to be able to have these people talk about me because at the end of the day, I’m one of the fans. “I’ve been there, and I’ve done that, eight years ago I was sat on the bankings watching and I wasn’t road racing. But just why, and how, has Dixon matured from a youthful also-ran into a potential British Champion in such a short space of time. Well, he revealed that only a handful of people have a played a part in his meteoric rise, in particular one man. “It’s a mixture of everybody, but there is a key person, that I don’t want to name in my life that has really, really helped me. “He only came into my life when I contacted him this year and he’s made a massive difference, he’s played a key role in getting me to where I am, and so has Sarah. Sarah made me go and do this and now it’s all paying off, which is really good. “A few years ago, I wasn’t the strongest rider mentally. But there are a few areas I have worked on this year, with a few people in my life, that have helped make me a stronger person and see things in a different light. “Being in control of my emotions is a big thing in racing, when you go out and ride on emotion it can be really good, but at the same time it can be really bad. “You can start making mistakes, and big mistakes by hurting yourself from crashing. I like to think that now I have control every time I go out. Don’t get me wrong I’ll still make mistakes and I’m still going to crash, I’m only human. “I’m not going to approach any race any different. I’m just going to go out, enjoy doing what I’m doing, if it happens then it happens.